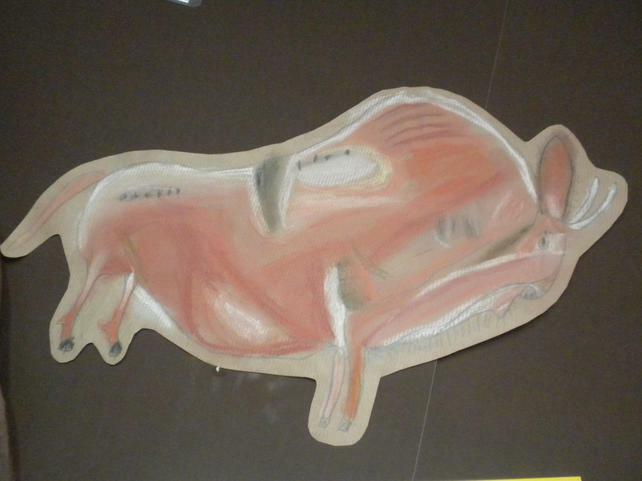 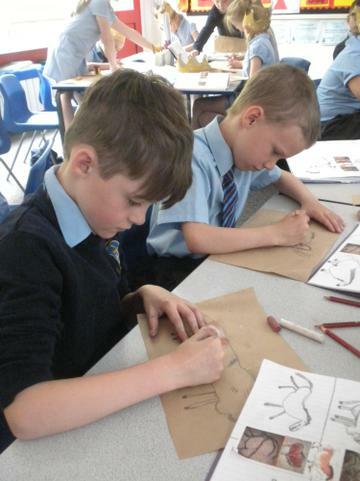 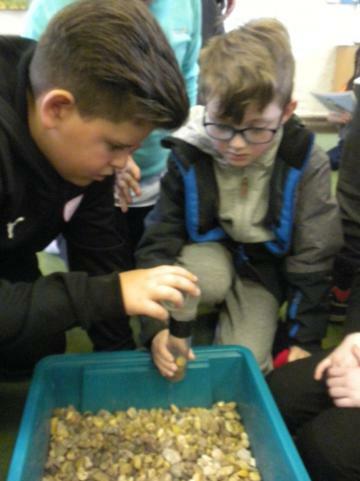 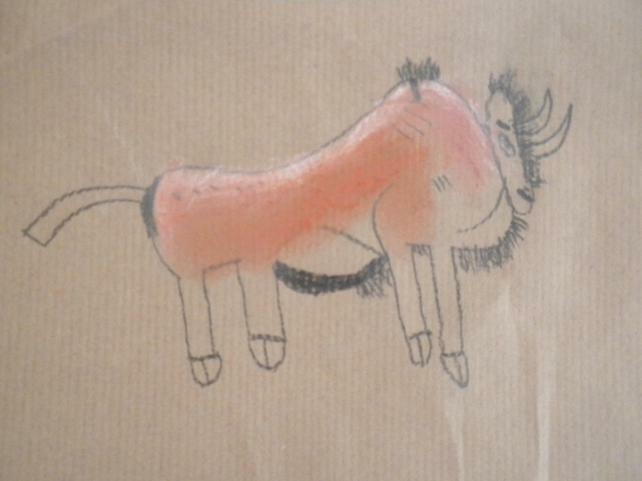 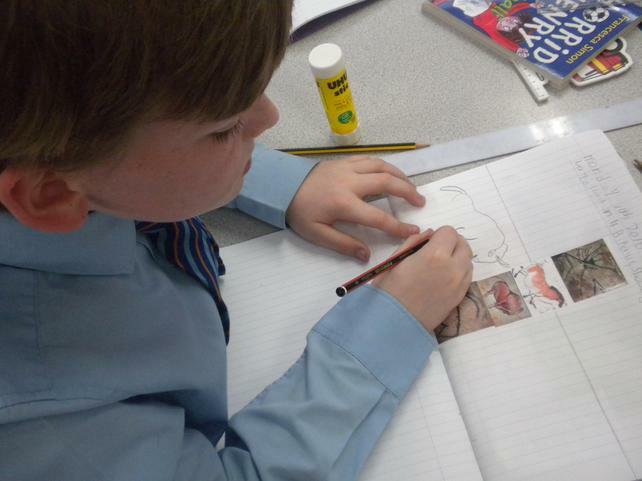 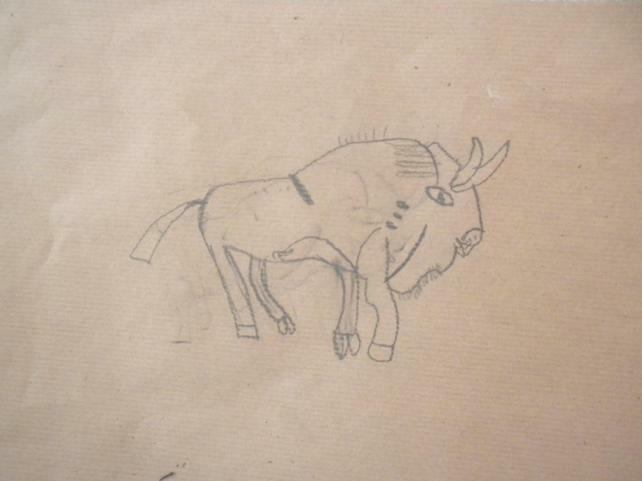 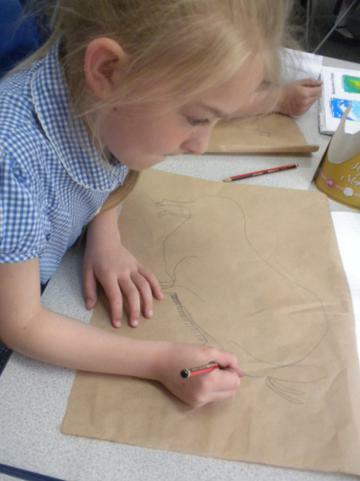 Class 3 has been very busy creating cave art from the caves in Lascaux in France. 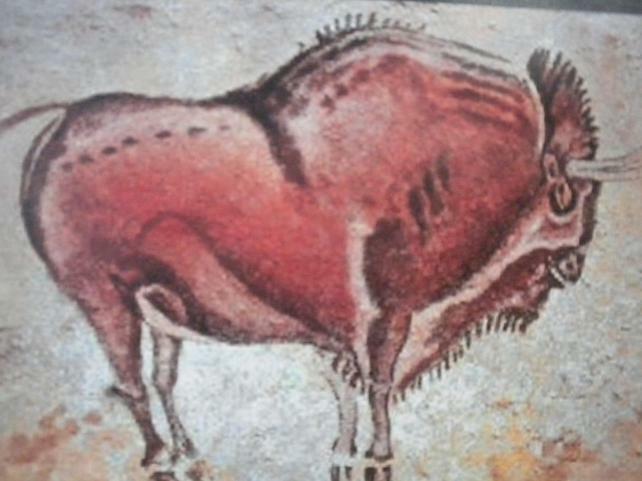 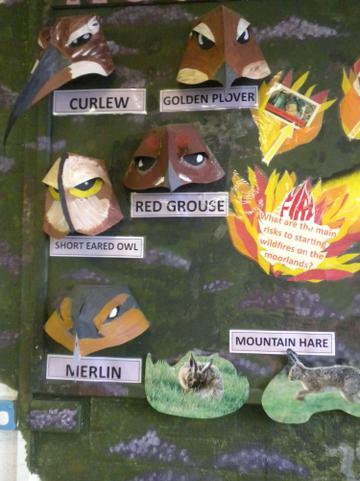 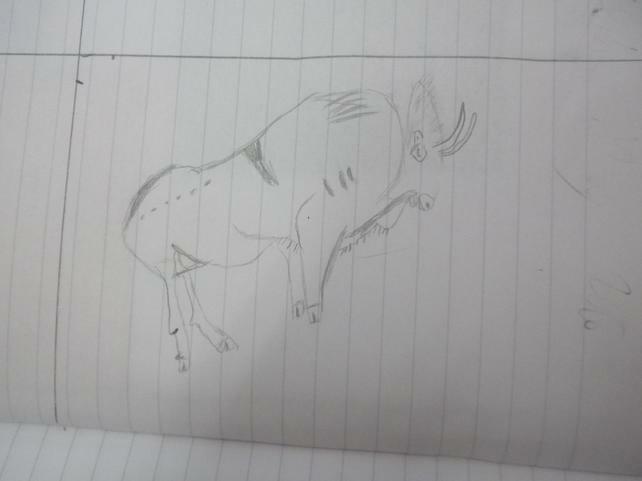 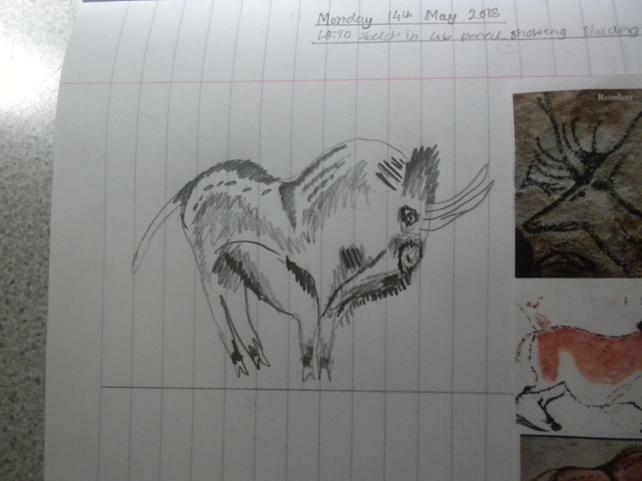 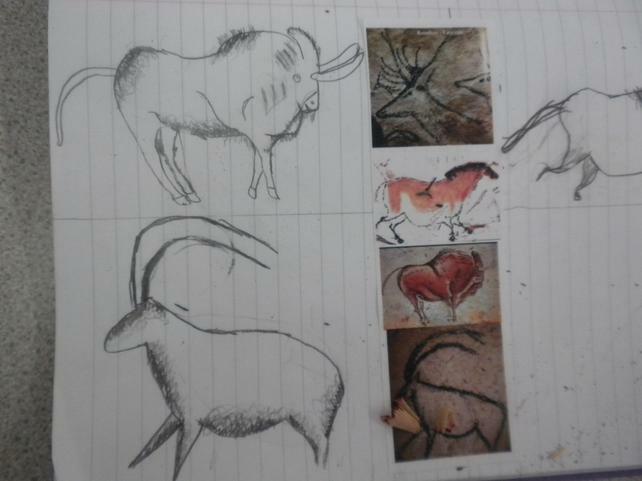 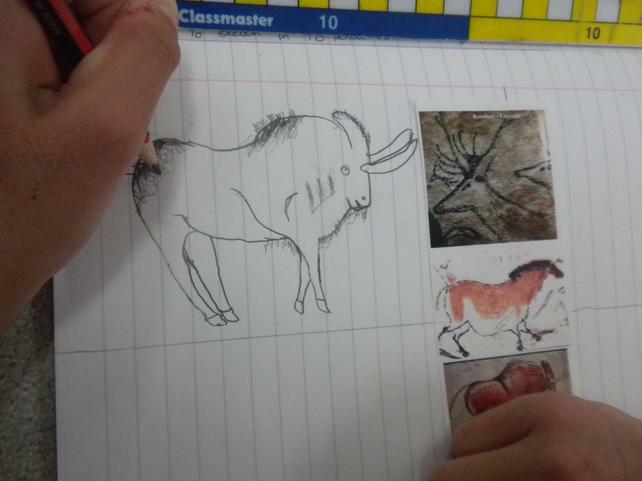 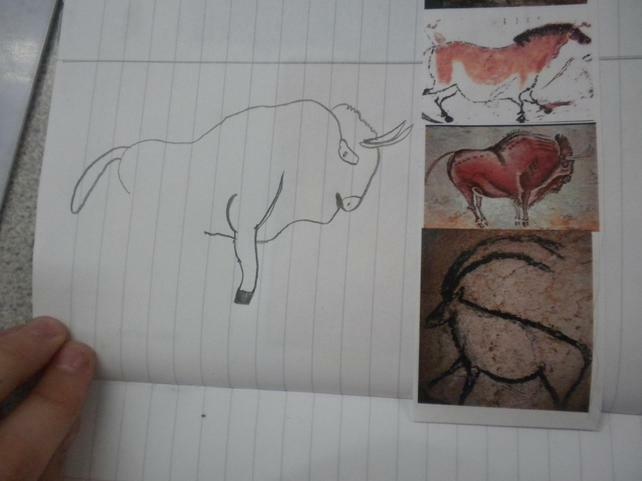 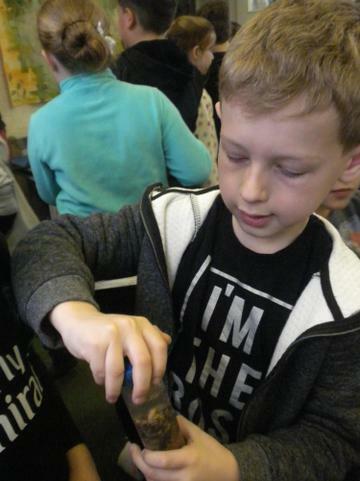 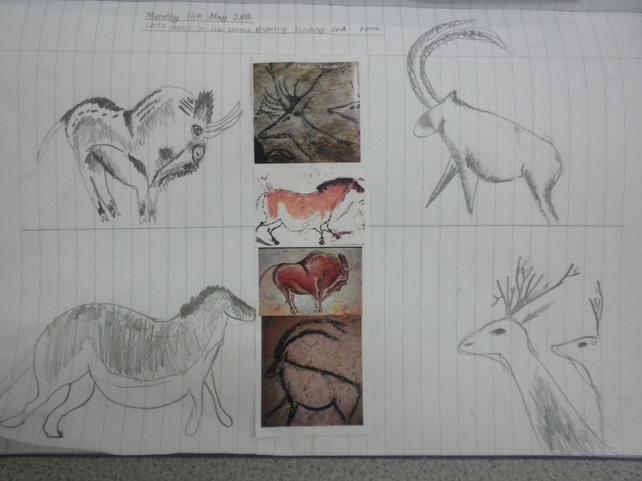 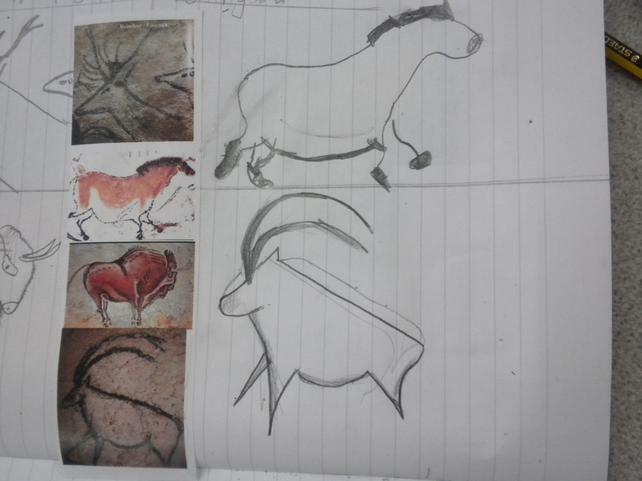 We spent time looking at the artists, the different animals and how they created the images on the cave walls. 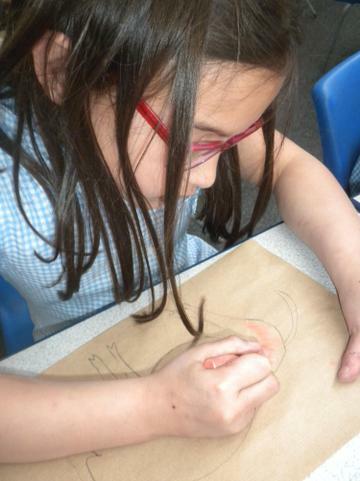 We then went onto create our own copies using oil pastels. 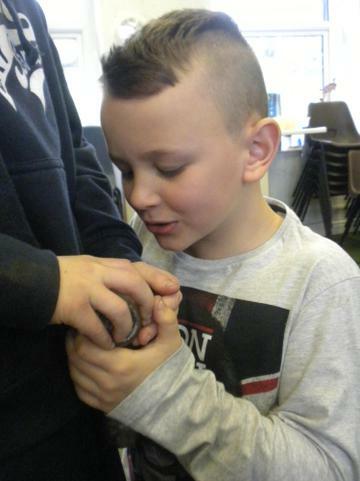 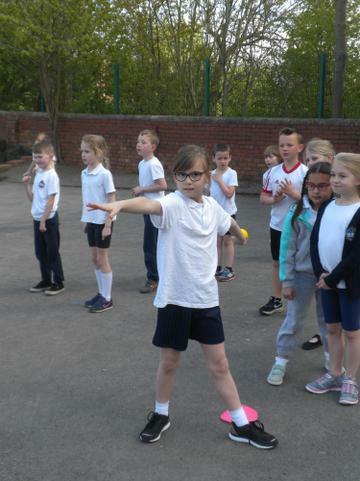 Class 3 had their very own Royal wedding! 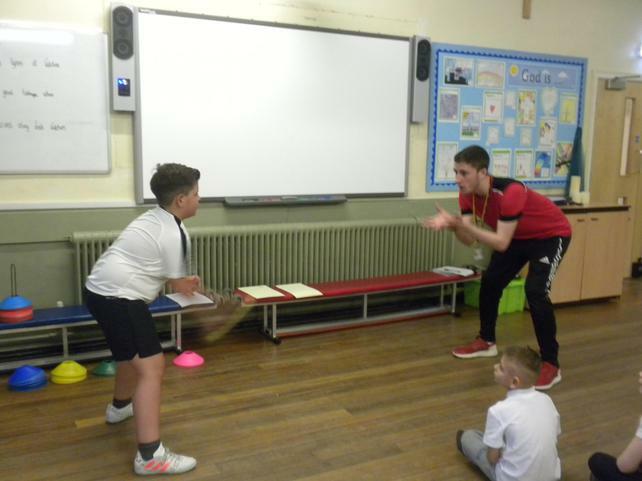 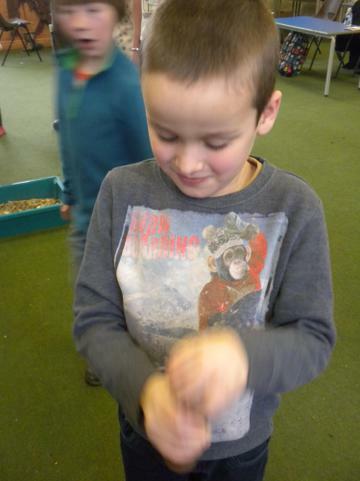 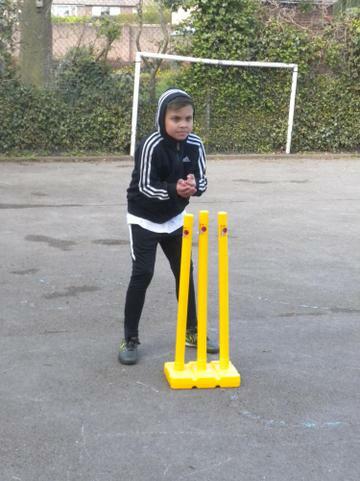 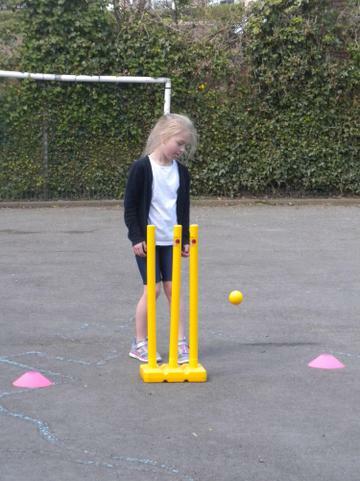 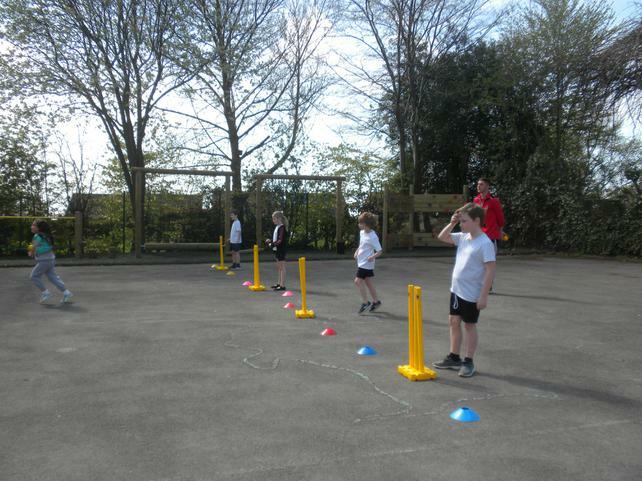 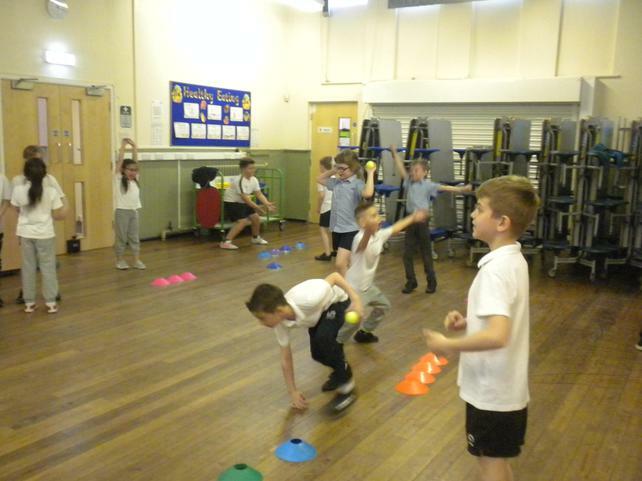 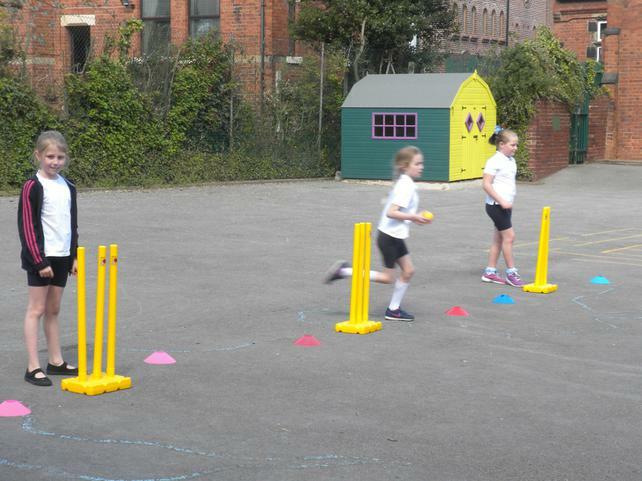 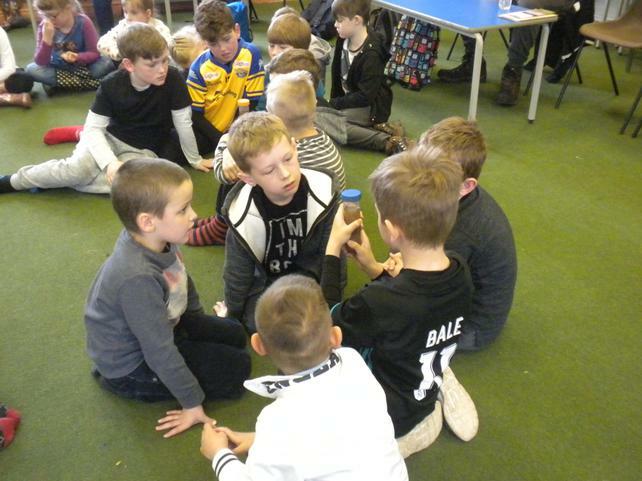 We have began using the skills we learnt last week in a game of diamond cricket, which everyone enjoyed. 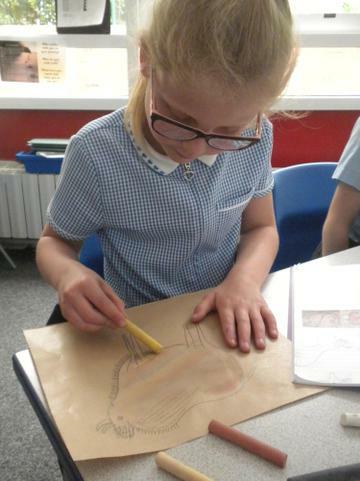 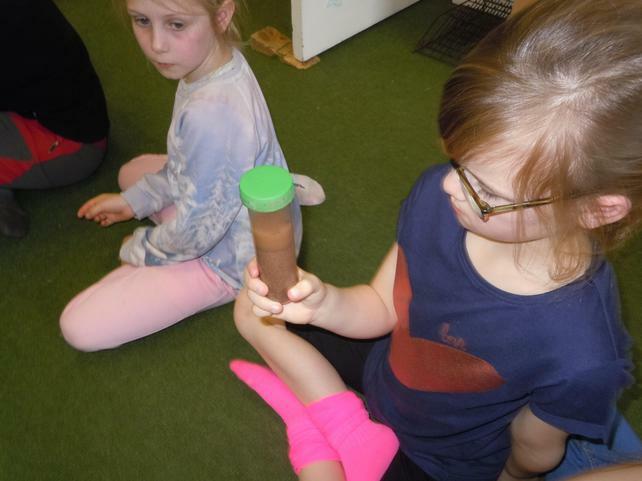 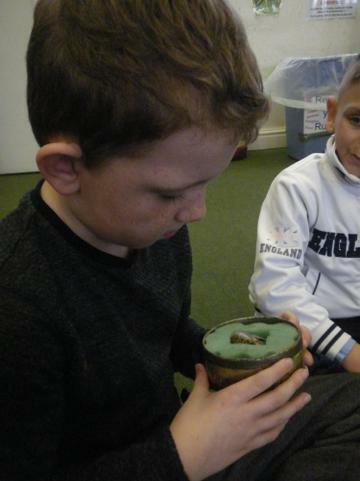 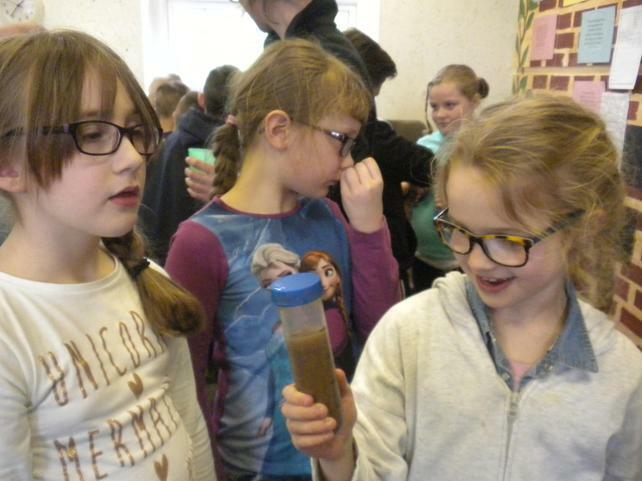 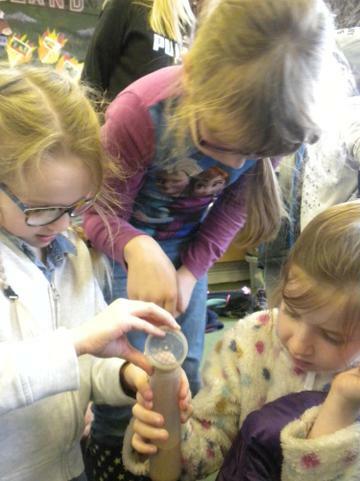 The children have also been learning how to use oil pastels to blend, which will be our focus when we start our cave art topic. 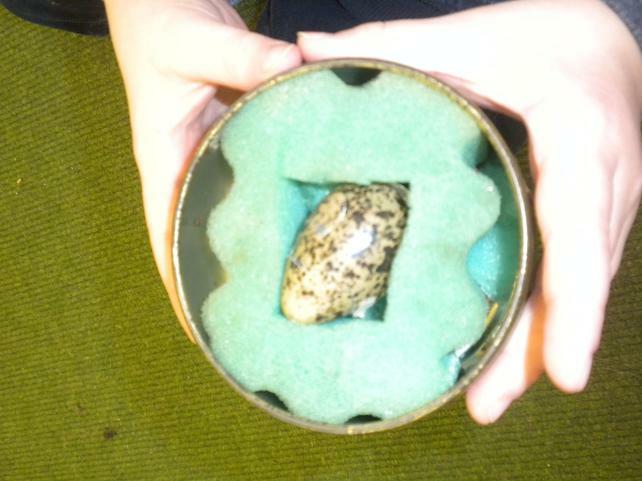 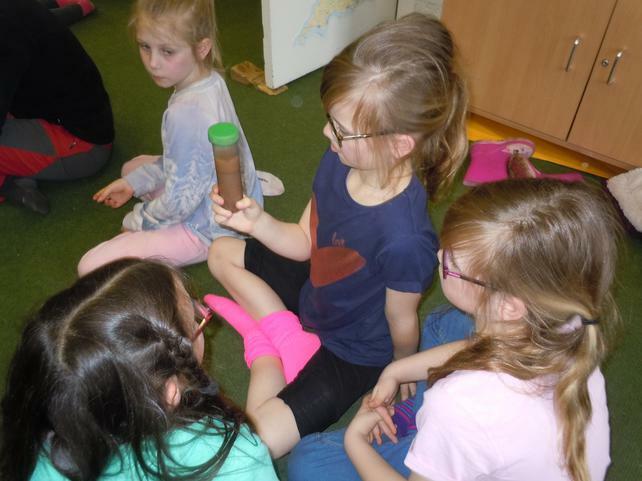 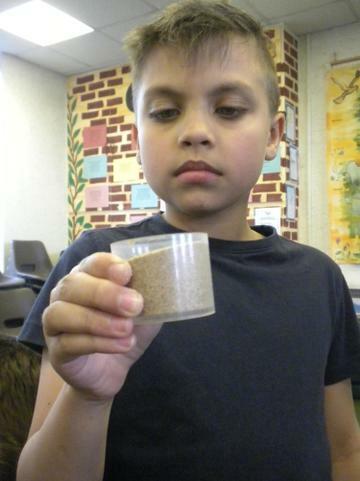 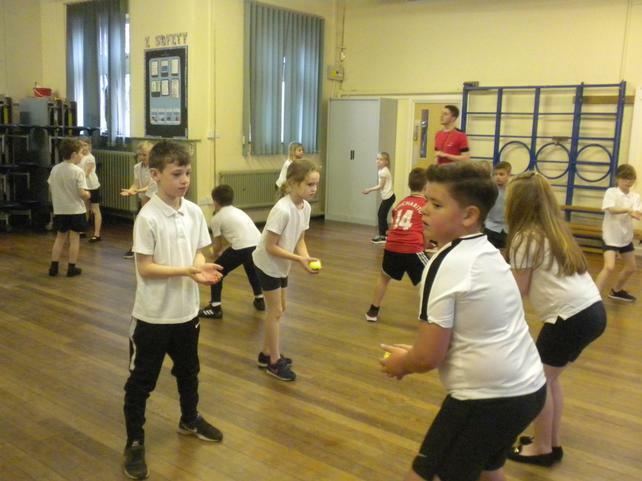 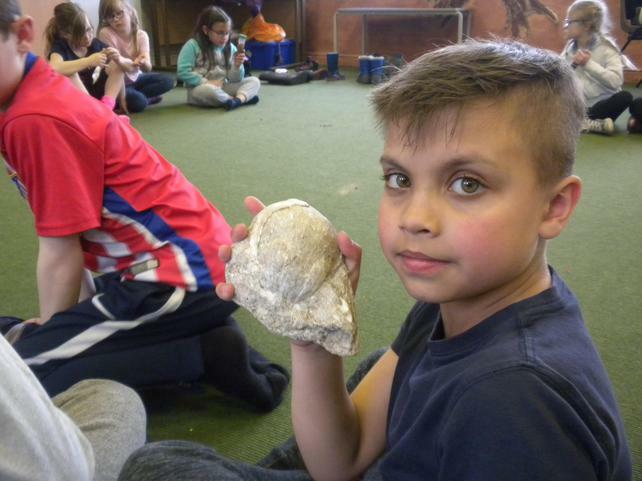 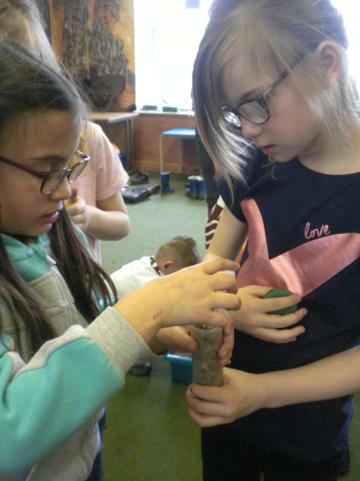 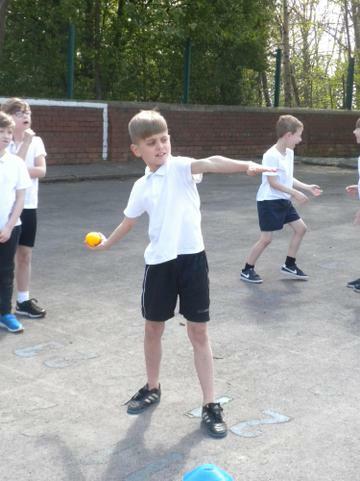 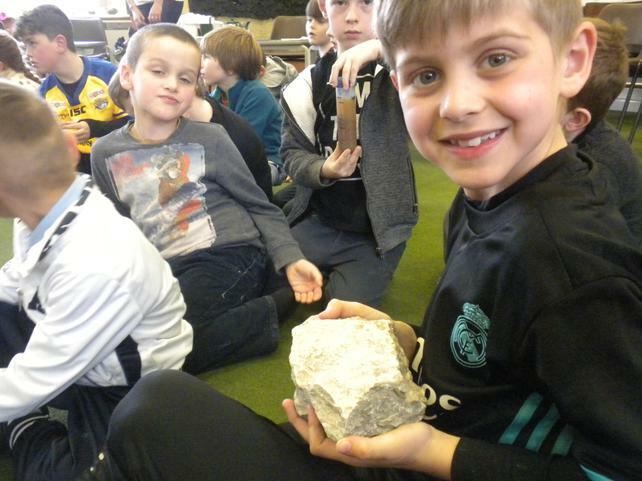 This week in PE we have been learning all about catching and throwing.We are about to start our new topic about the Stone Age, which the children are very excited about! 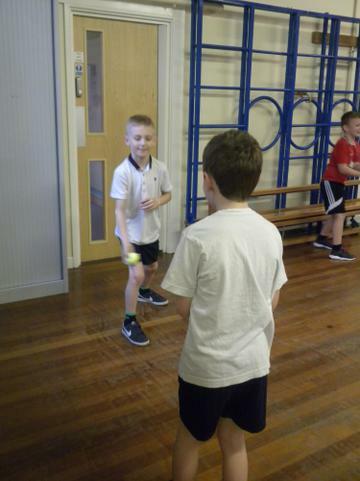 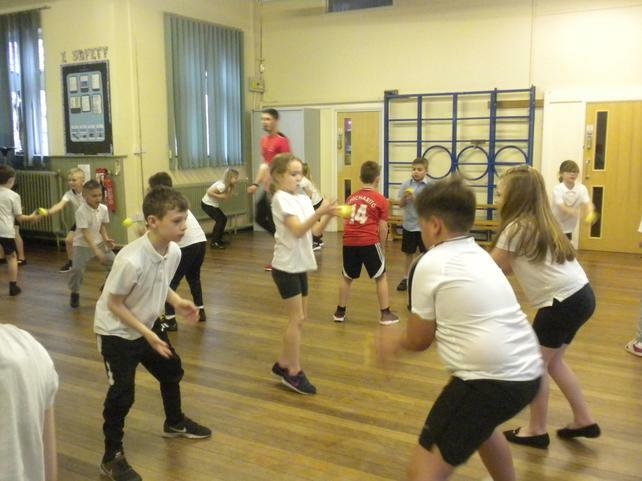 In PE this week the children have been leading their own warm up sessions. 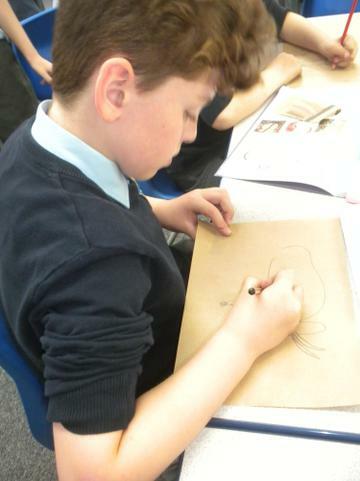 We have been sharing good news in RE and we have begun a new literacy topic about shape poetry. 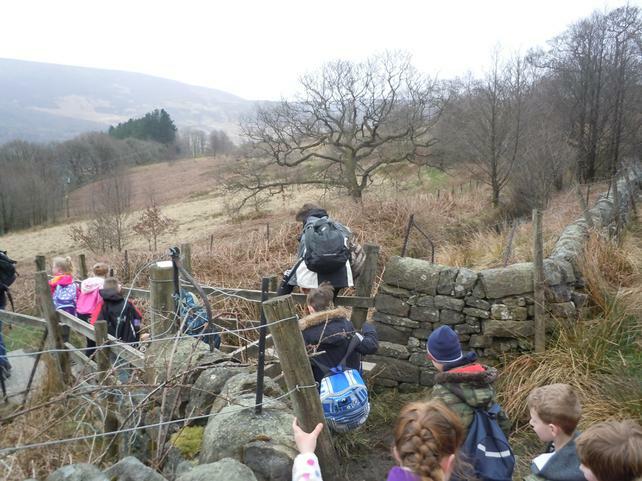 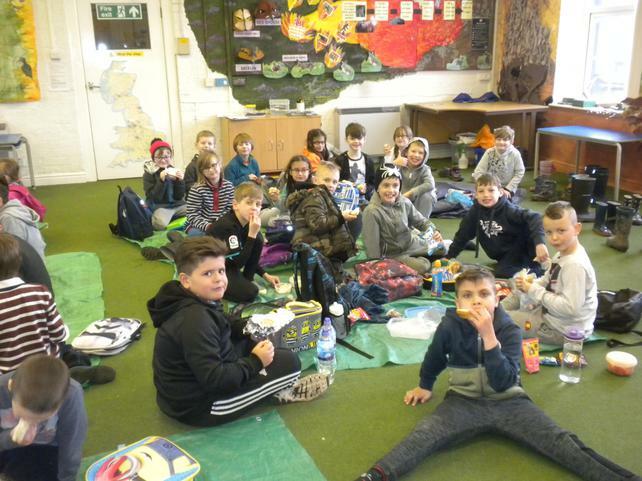 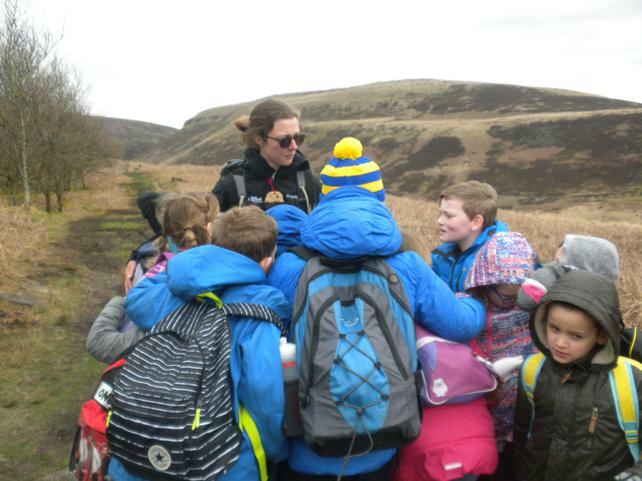 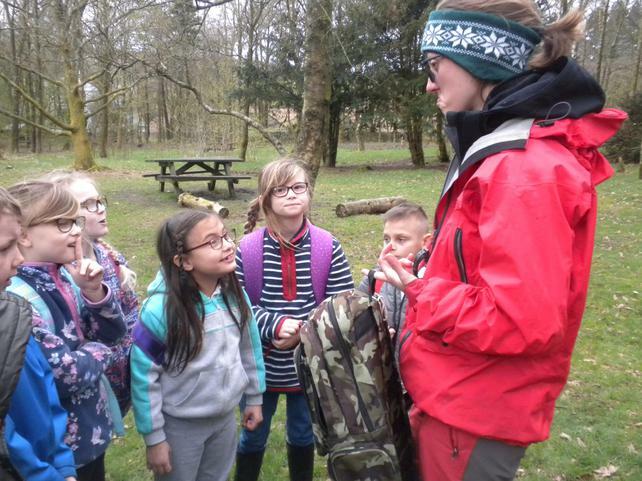 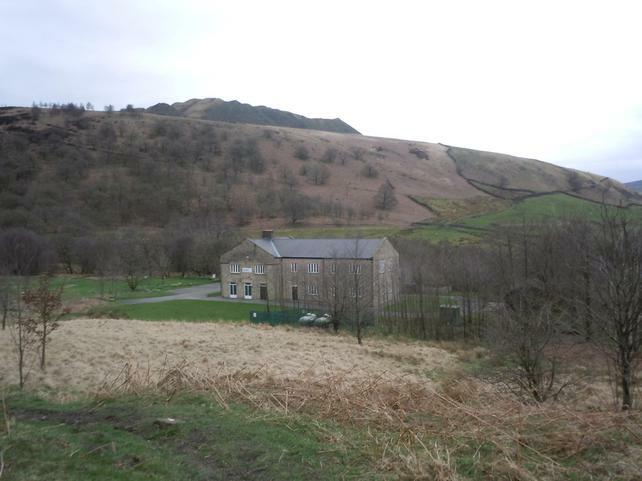 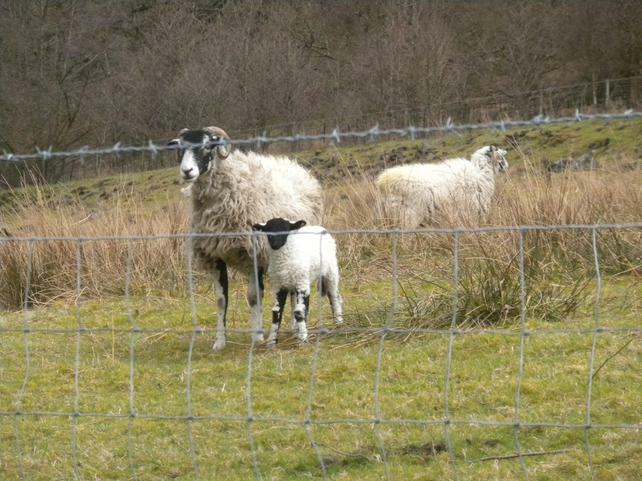 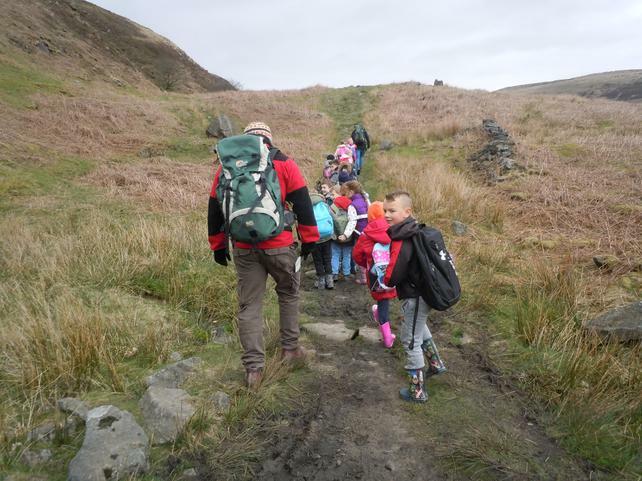 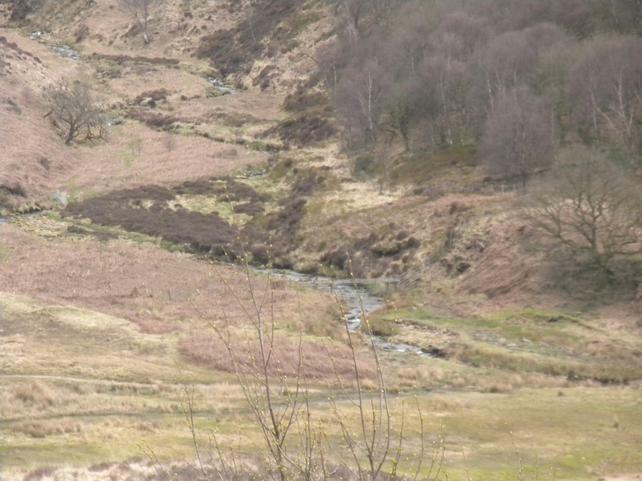 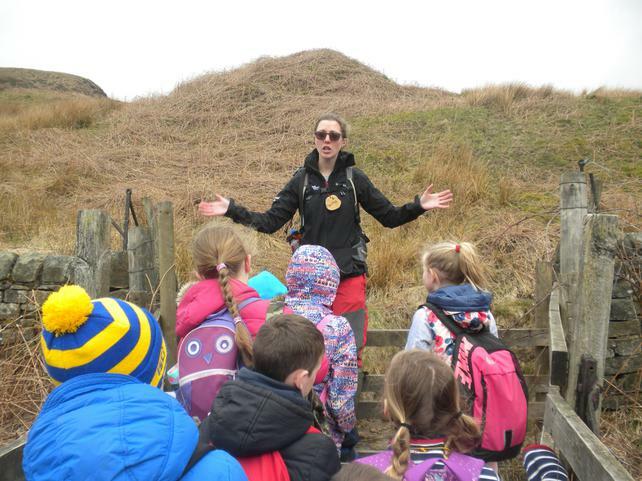 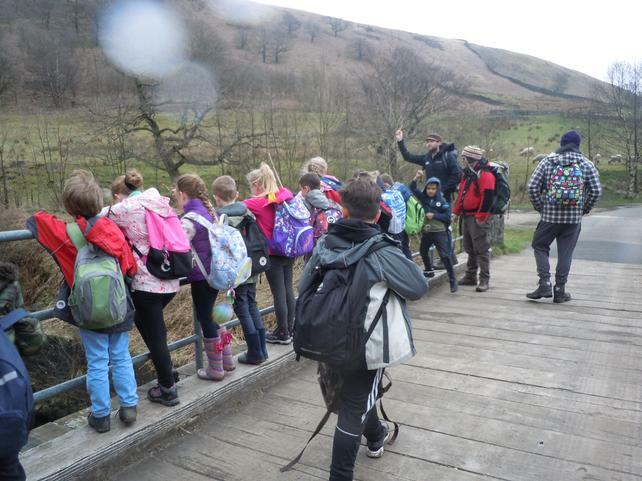 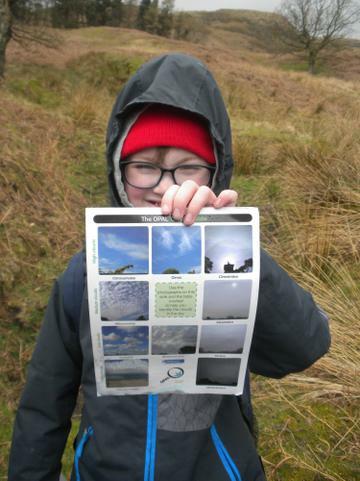 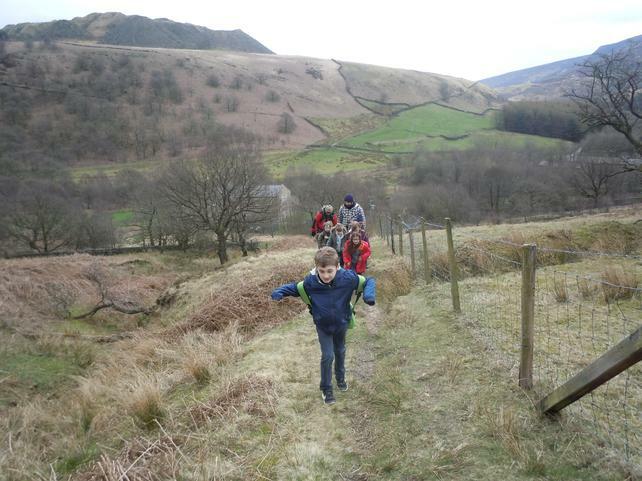 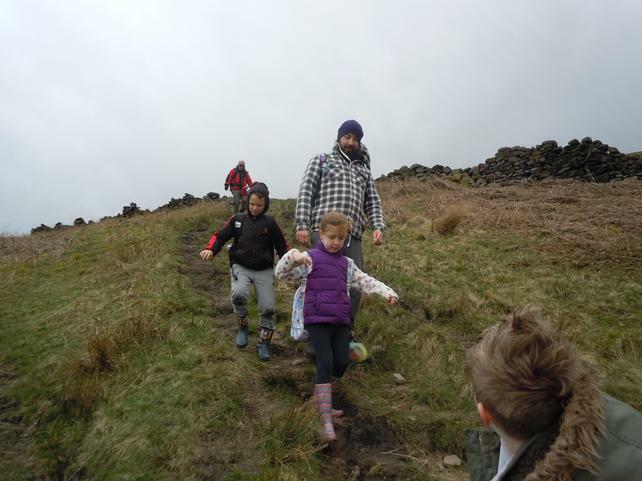 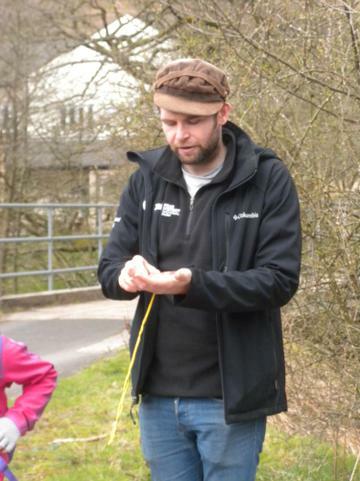 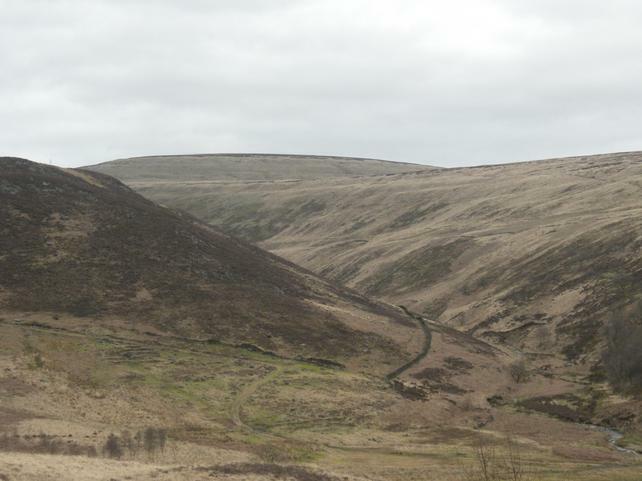 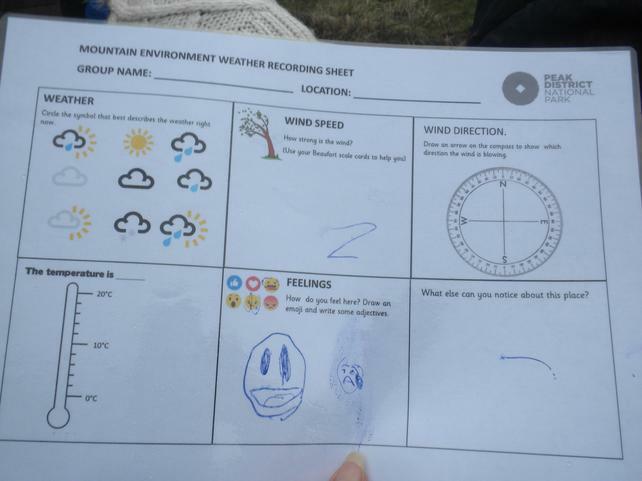 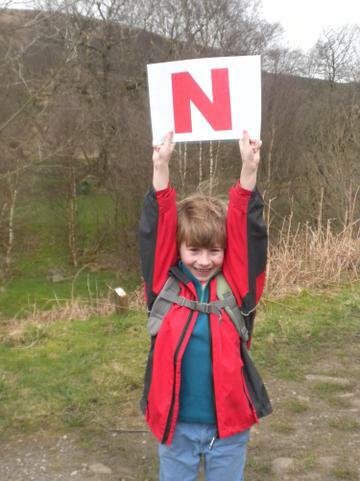 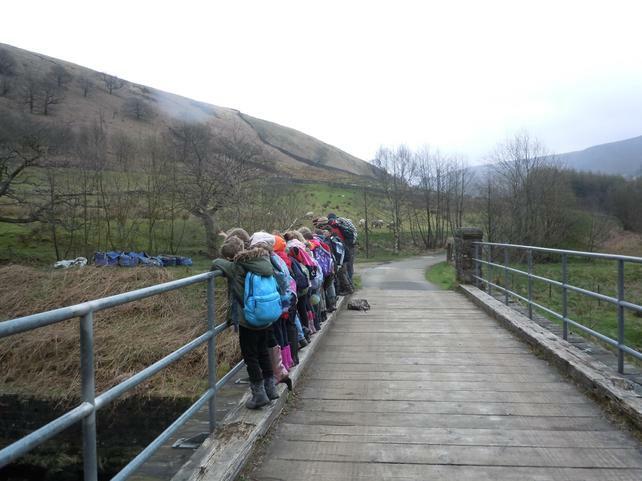 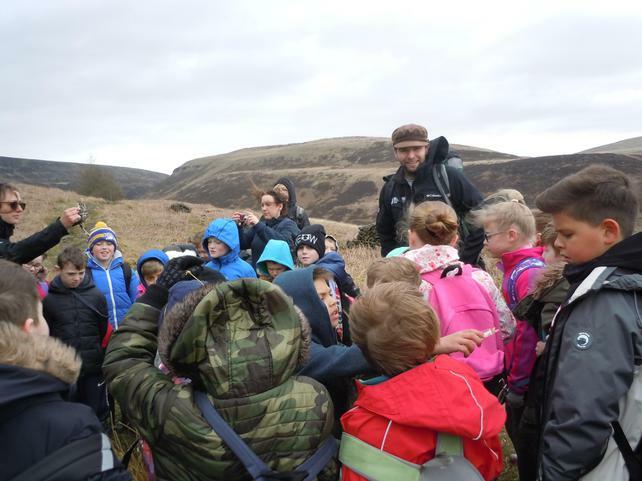 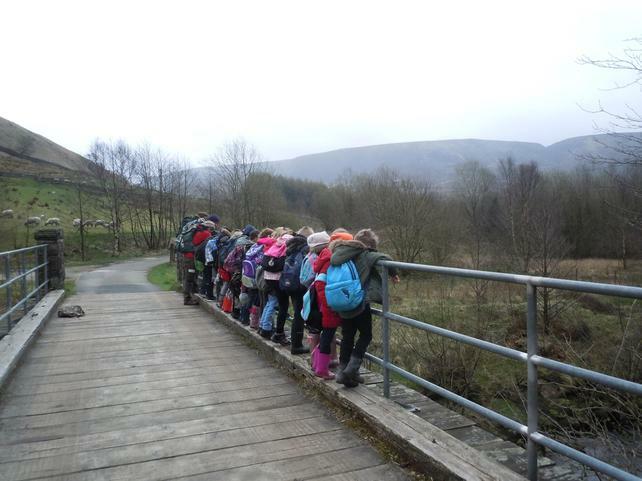 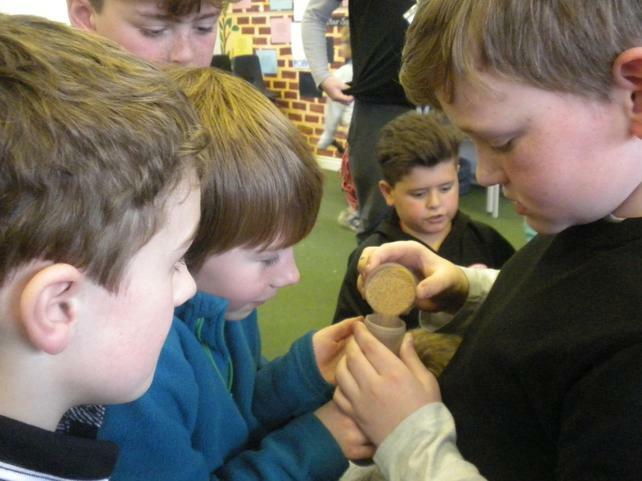 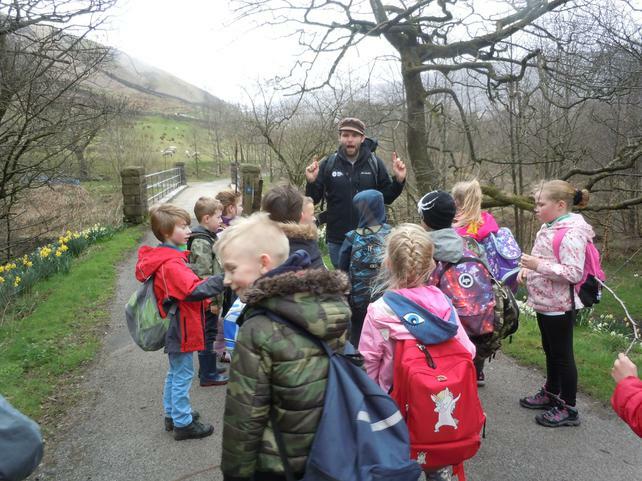 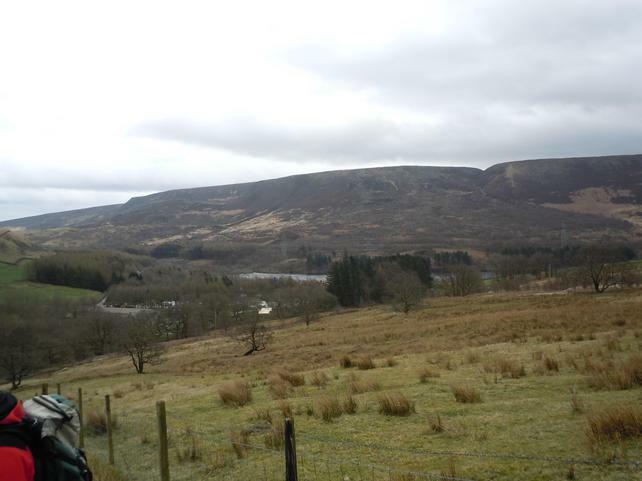 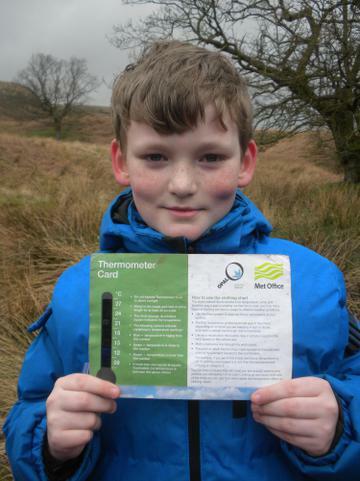 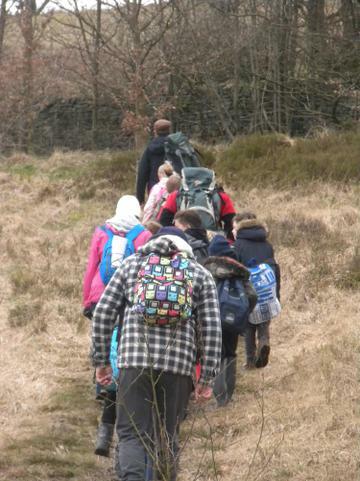 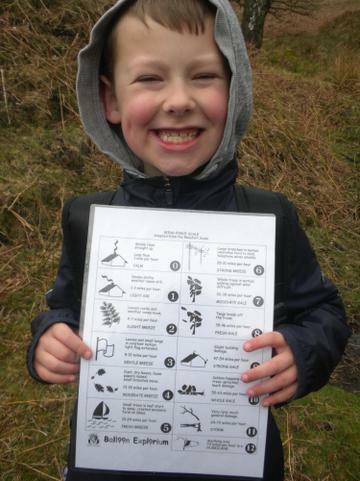 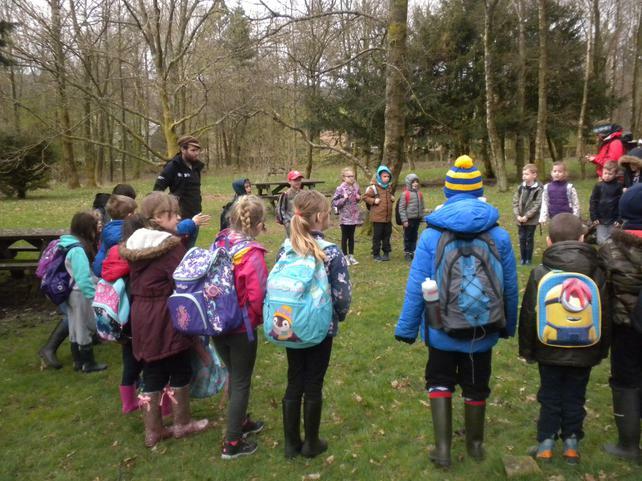 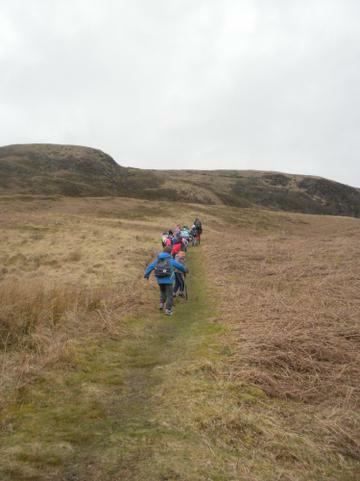 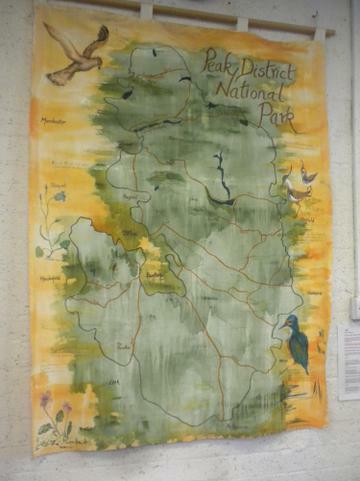 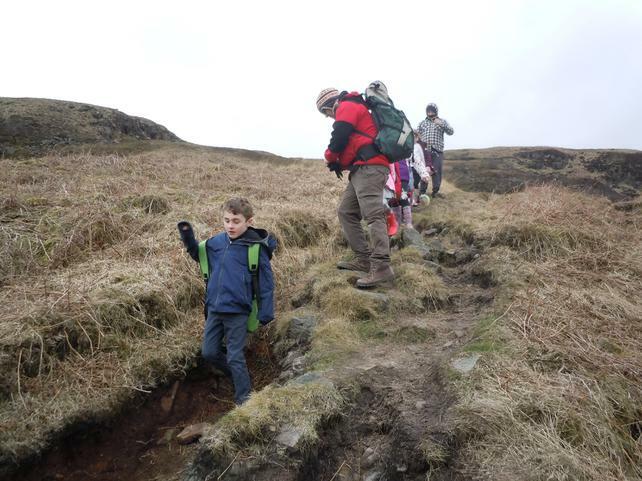 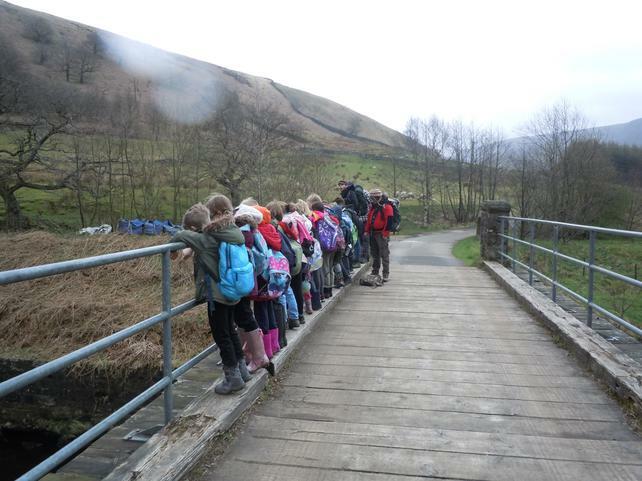 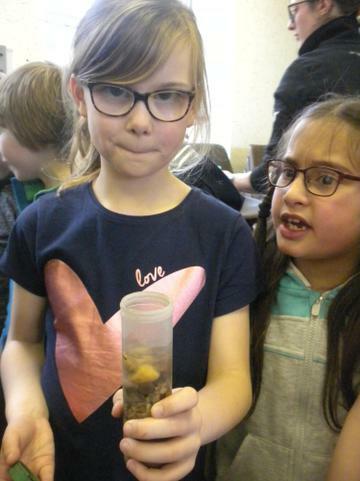 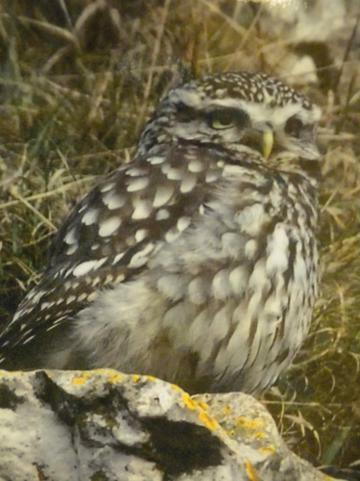 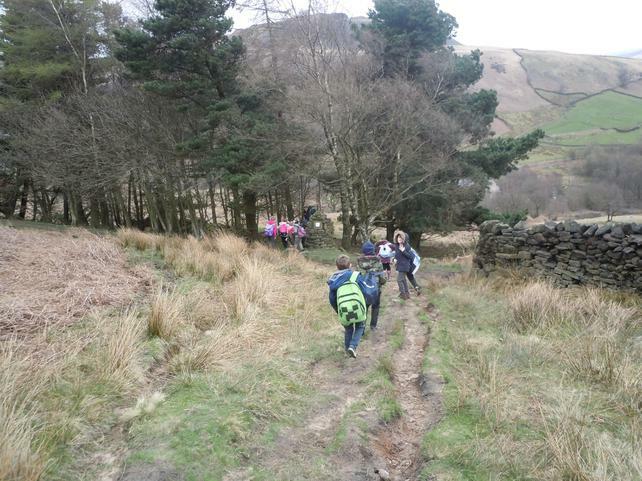 This week we had a fabulous day out in the Peak District, learning all about mountains. 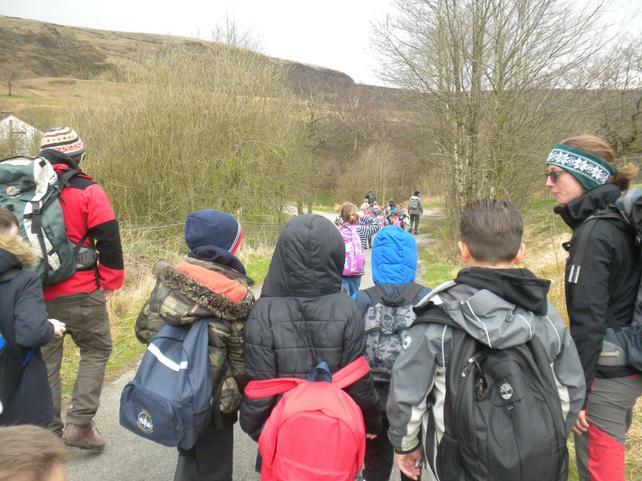 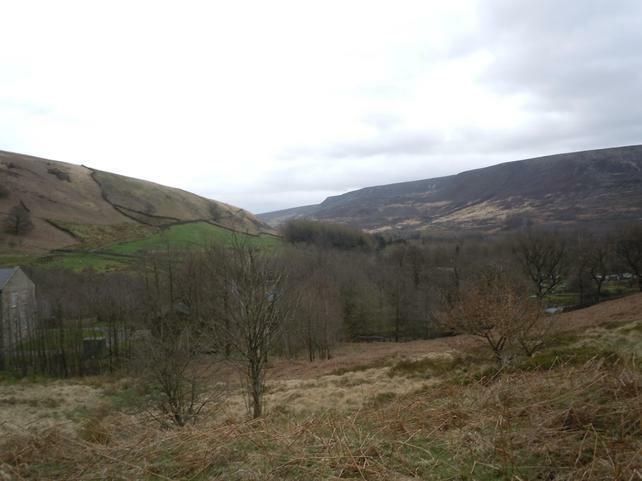 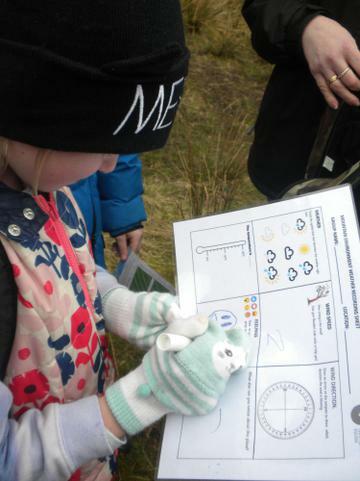 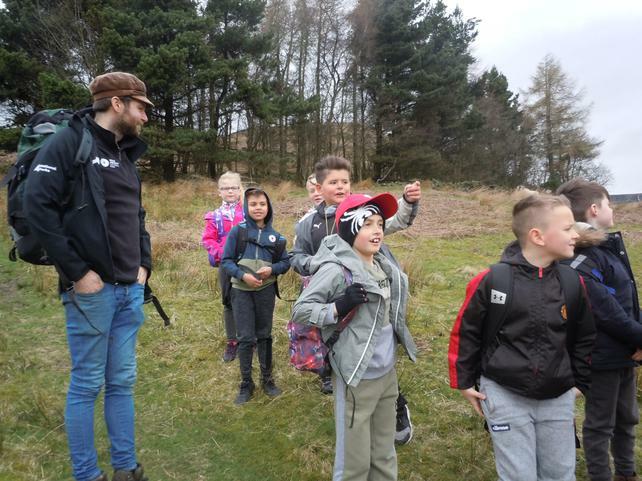 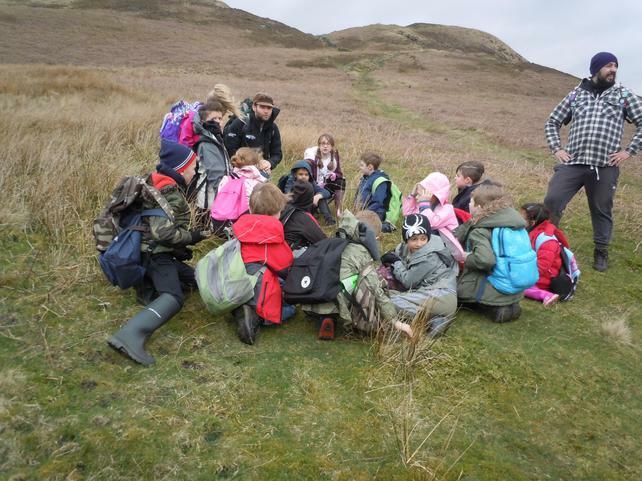 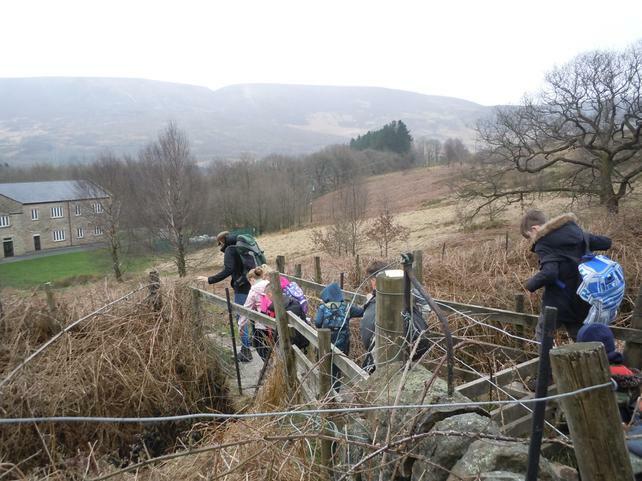 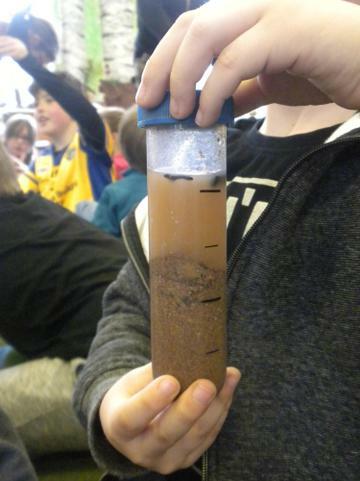 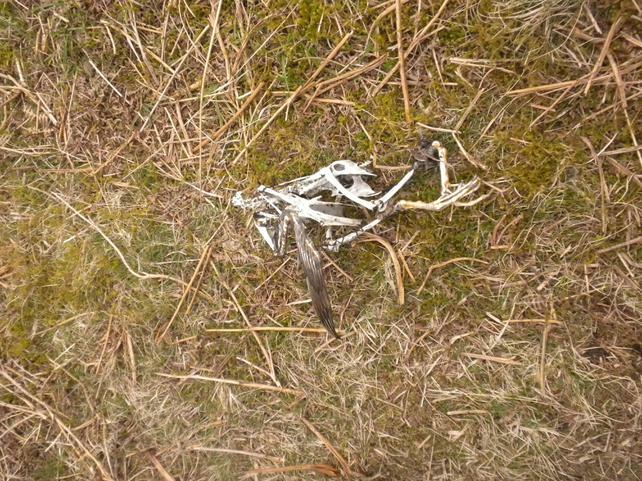 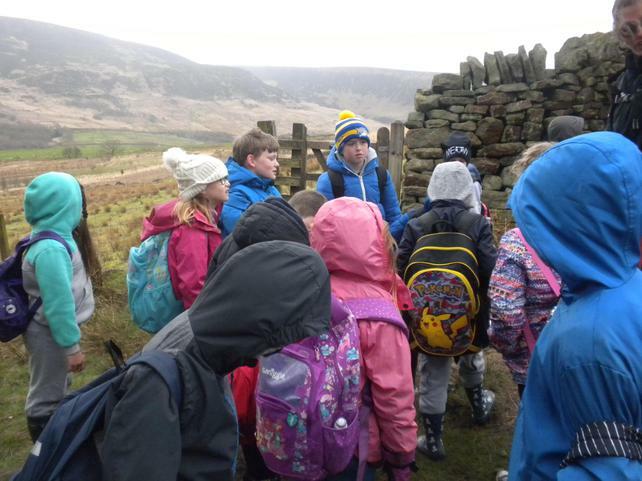 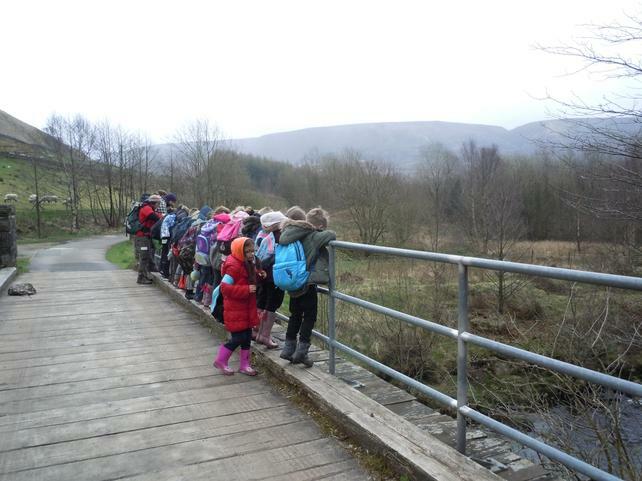 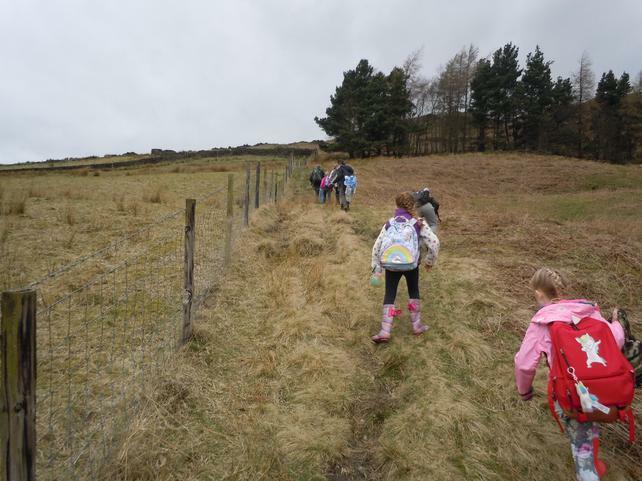 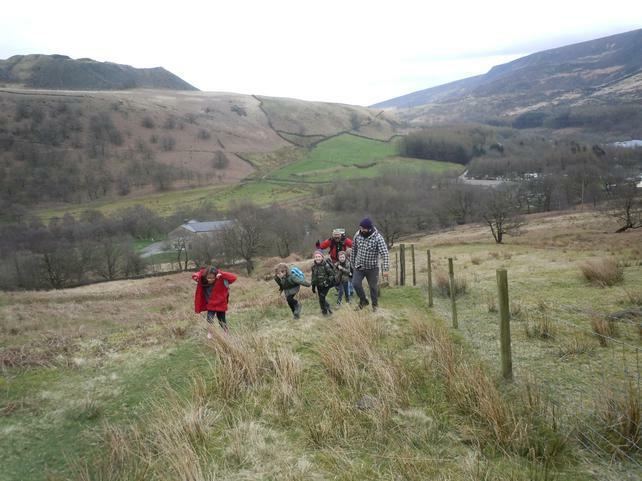 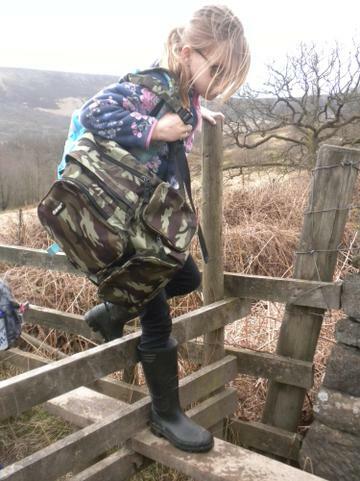 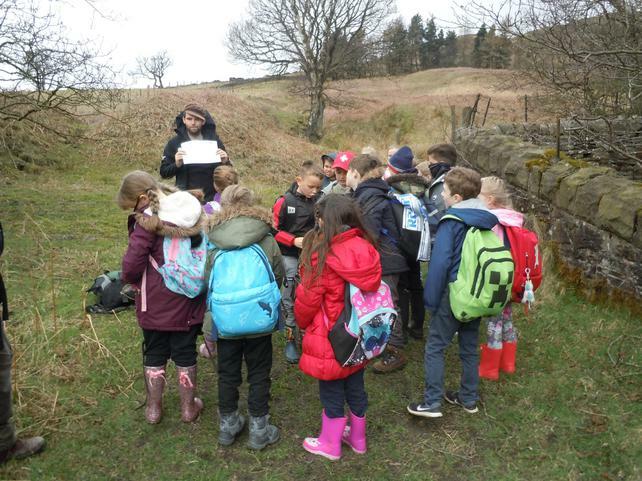 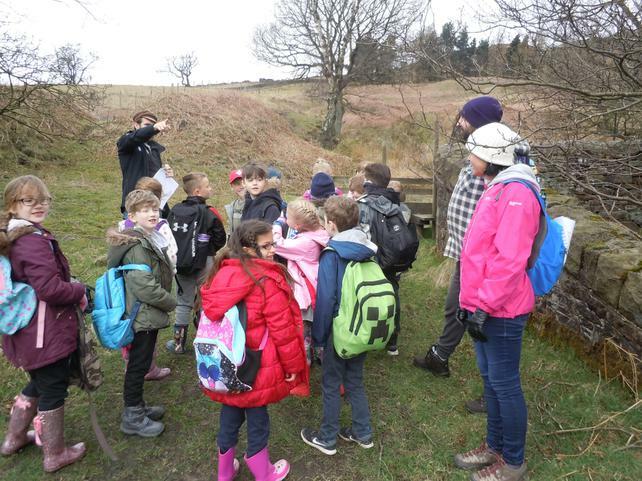 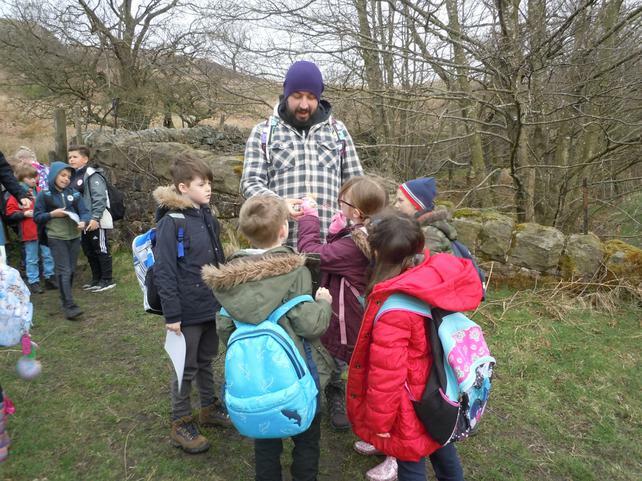 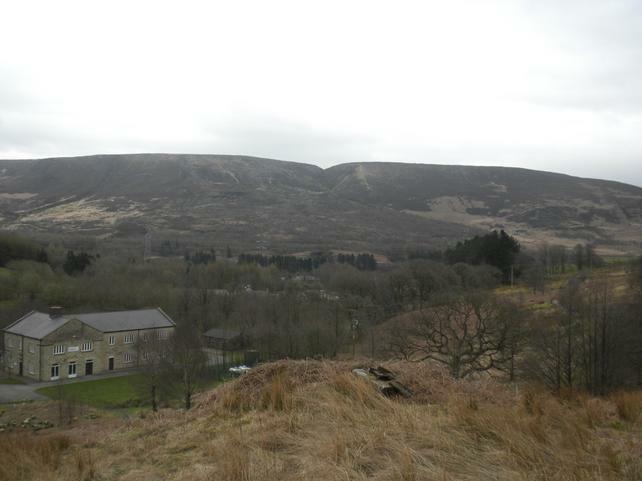 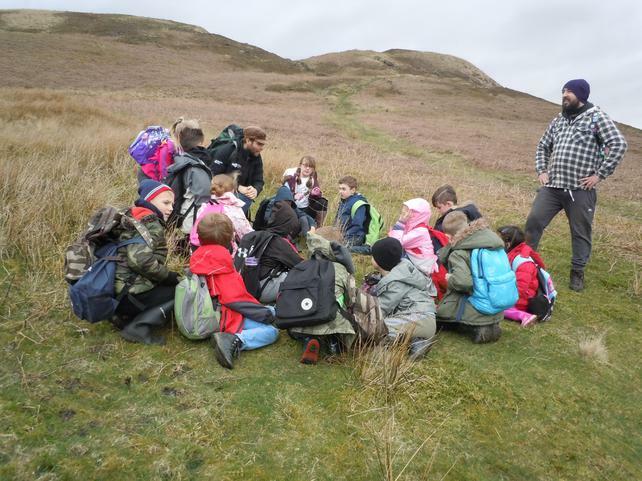 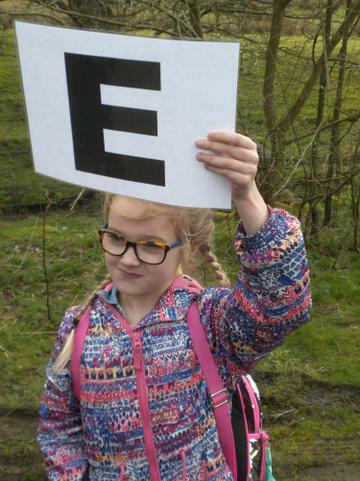 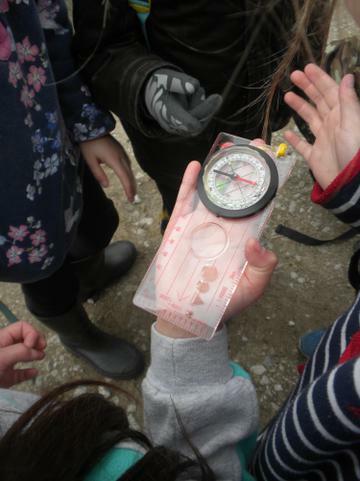 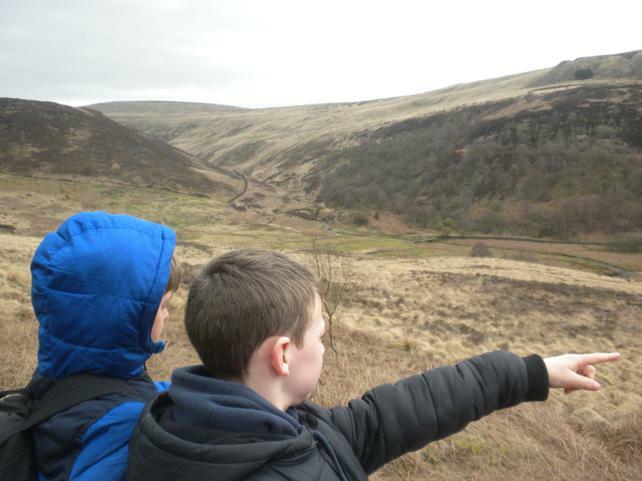 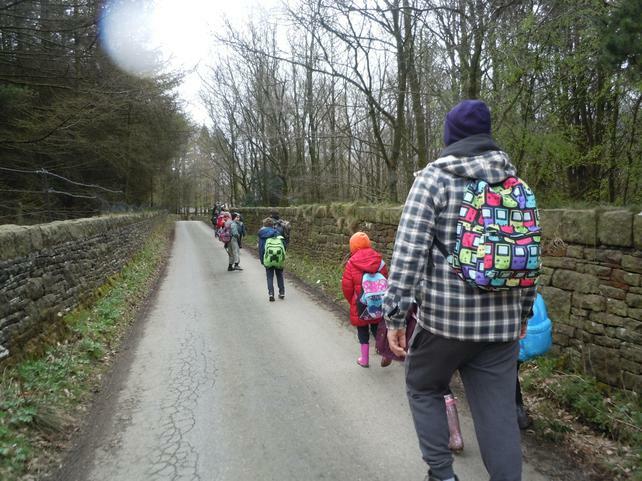 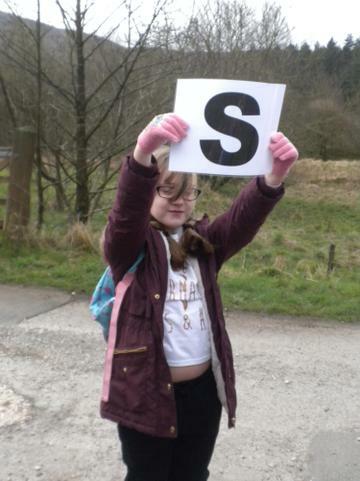 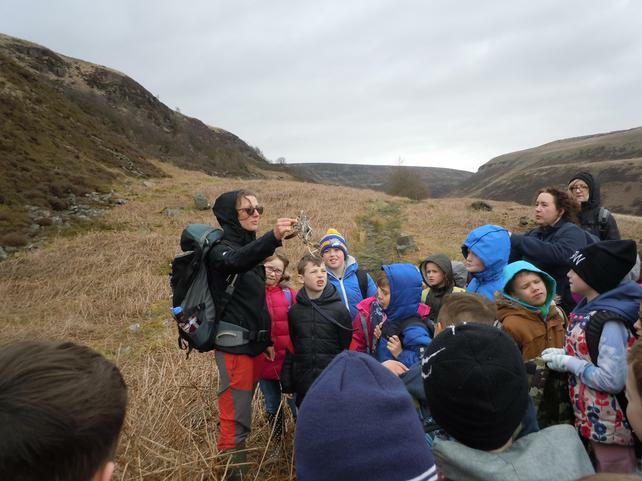 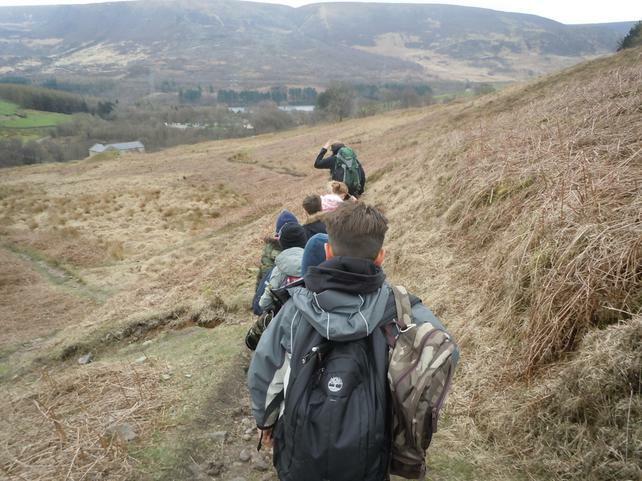 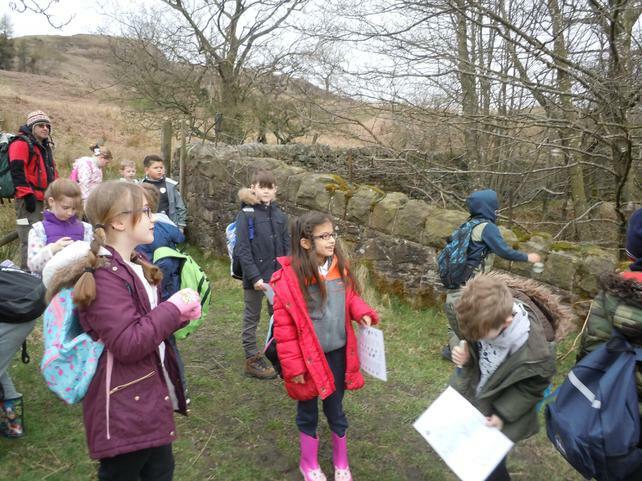 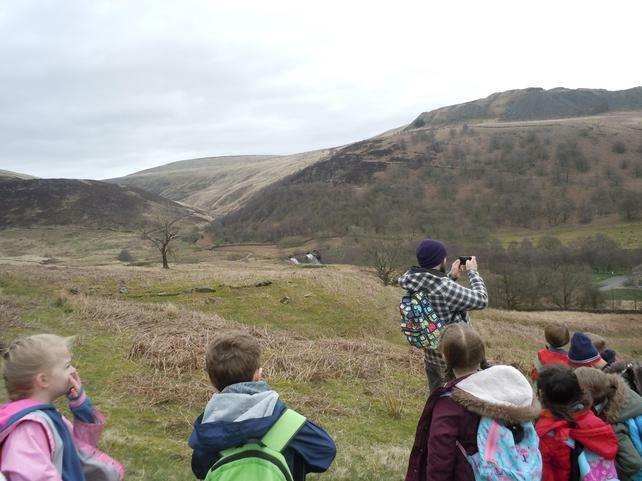 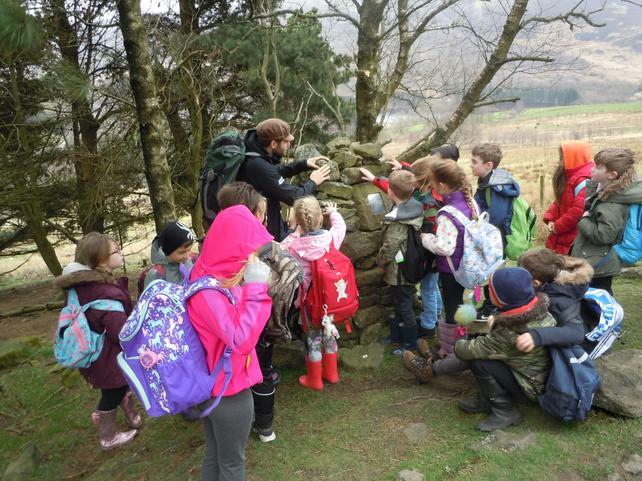 We walked up some steep hills and studied the environment. 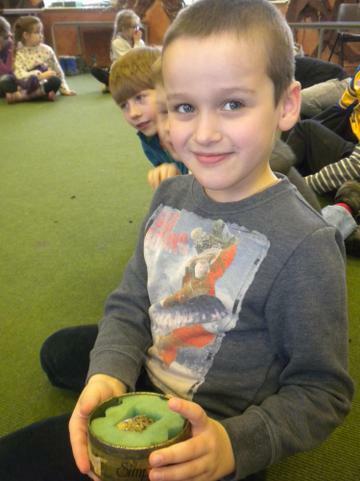 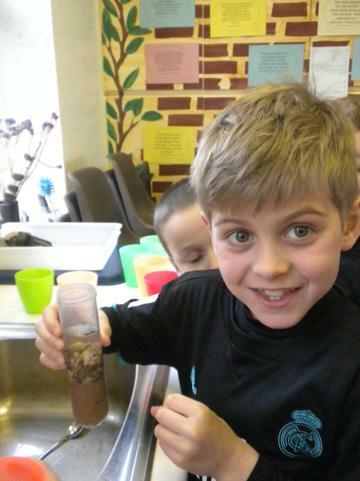 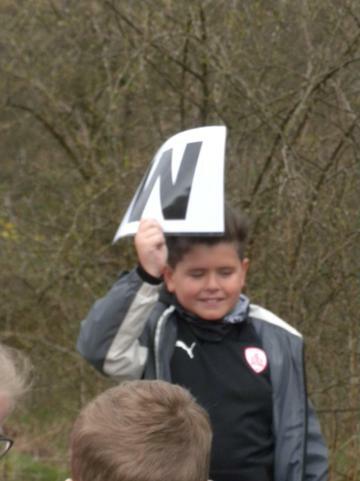 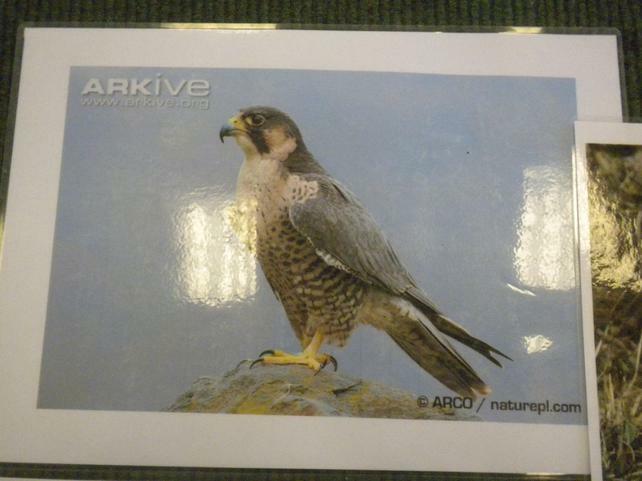 Well done for having such wonderful attitudes, you really were a credit to the school! 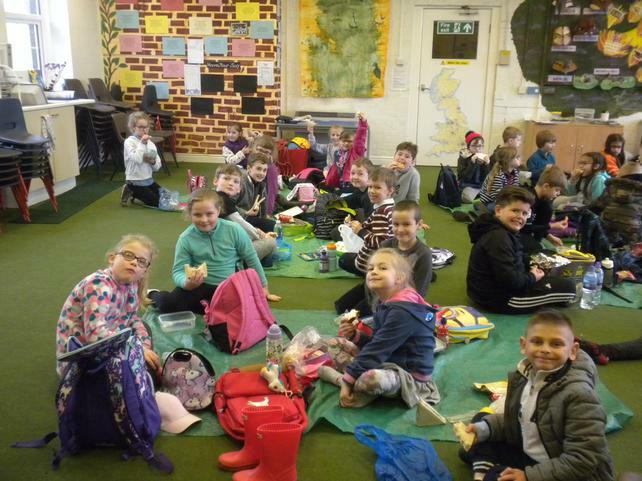 Welcome back to school class 3! 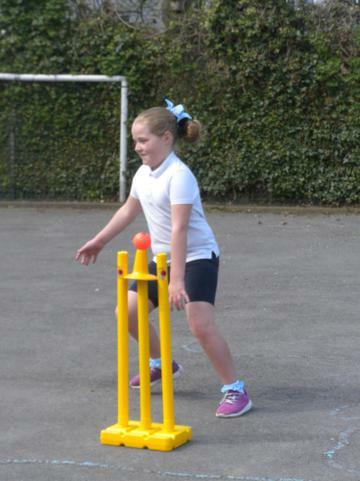 We have settled back into the Summer term very well. 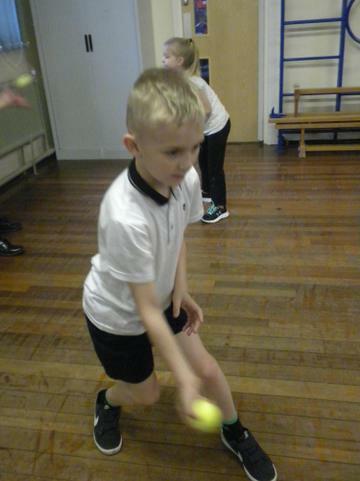 This week we have had a visit to learn all about playing a brass instrument, we have also started our PE topic about cricket.